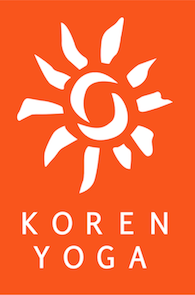 Join Koren for 4 days of rejuvenating and transformational Iyengar yoga, meditation, pranayama and sutra studies outside of sunny Los Angeles. You’ll stay at a charming modern farm house situated on 10 acres of land in upper Ojai, just 10 minutes from downtown Ojai. Surrounded by sacred mountains with a panoramic view of the Topa Topa Mountains, you will enjoy elegant accommodations and dine on delicious internationally-inspired, farm-to-table organic vegetarian cuisine. There will ample time to relax by the resort-like pool, soak away your cares in the hot tub, stroll through acres of tranquil orchards, explore downtown Ojai, and discover Ojai’s hidden hot springs. Come progress your yoga practice and revitalize yourself with this perfect retreat getaway.